You are browsing the archive for Swimming. As we head into the last weekend of the Age Group and Championships, don’t forget you can view all the results and watch all the previous sessions using the links below. YouTube Playlist with all the streamed sessions. Subscribe to us on YouTube to get alerts and updates of when we go live. If you can’t make it down the Manchester this weekend to pick up some kit it is your last chance to get any final orders in online, pre-orders stop this weekend and once it is gone its gone. *only sessions at Manchester are streamed to YouTube. Session start as soon after 9:30 am as possible, estimated finish of 12:10 pm. Session start as soon after 2:15 pm as possible, estimated finish of 4:50 pm. Session start as soon after 9:30 am as possible, estimated finish of 12:20 pm. Session start as soon after 2:15 pm as possible, estimated finish of 5:00 pm. Session Start as soon after 1:15 pm as possible, Estimated finish of 4.20 pm. Session start as soon after 9:30 am as possible Est Finish 12:50 am. Keep up with all the action as it unfolds with our live results and live streams. We are once again streaming the event LIVE on YouTube, so even if you can’t make it to the pool you can watch all the action from the Manchester Aquatics Centre from where ever you are in the world. The Age Groups and Championships will be held at Manchester Aquatic Centre on 26th/27th January 2019, Wavertree Aquatic Centre Liverpool on 2nd/3rd February 2019 and Manchester Aquatic Centre on 9th/10th February 2019. Without the help of dedicated volunteers we would struggle to hold the competition. If you are available for a single session or whole weekend we would love to hear from you. We desperate for Athlete Marshalls, Announcers & Commentators in particular but we have gaps in all roles so please email with your preferred role and availability. 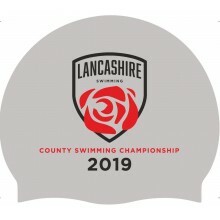 Mailsports once again will be at the Lancashire County Championship and in addition the the 2 Manchester Meets, 26-27 February and 9-10 March, we will also be in attendance at Liverpool 2-3 March. You can pre-order the kit on the link below. 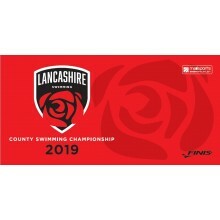 Please find below the entry information for the Lancashire County Age Groups & Championships 2019. The closing date for entries is Thursday 10th January 2019.